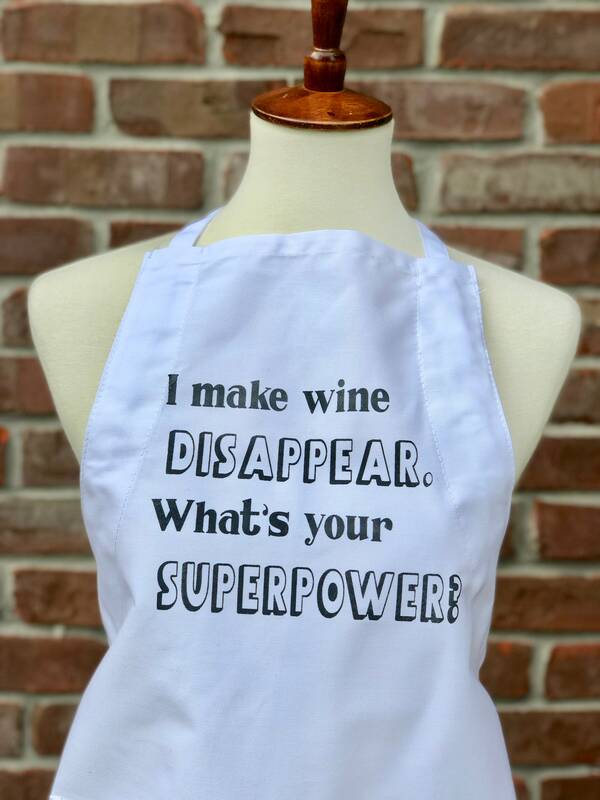 I make wine disappear apron. Superhero mom. 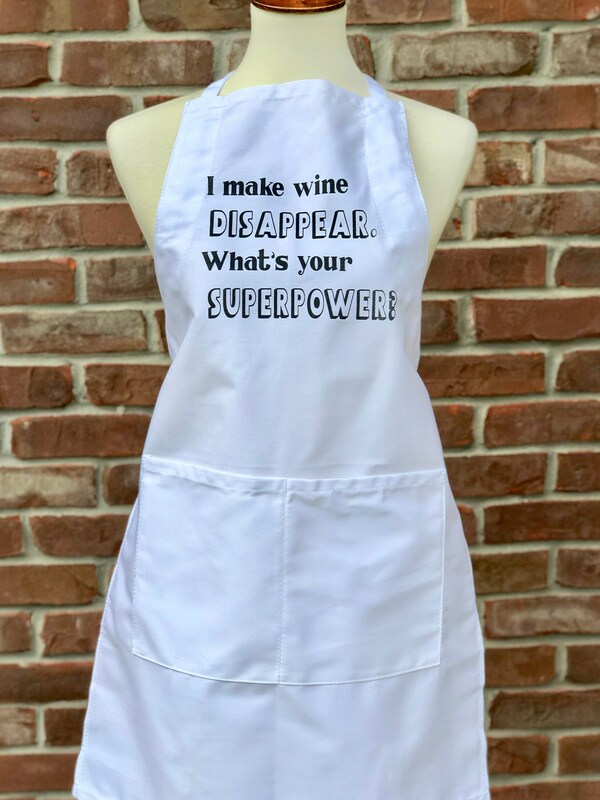 Funny apron. Screen printed apron. Fun apron. 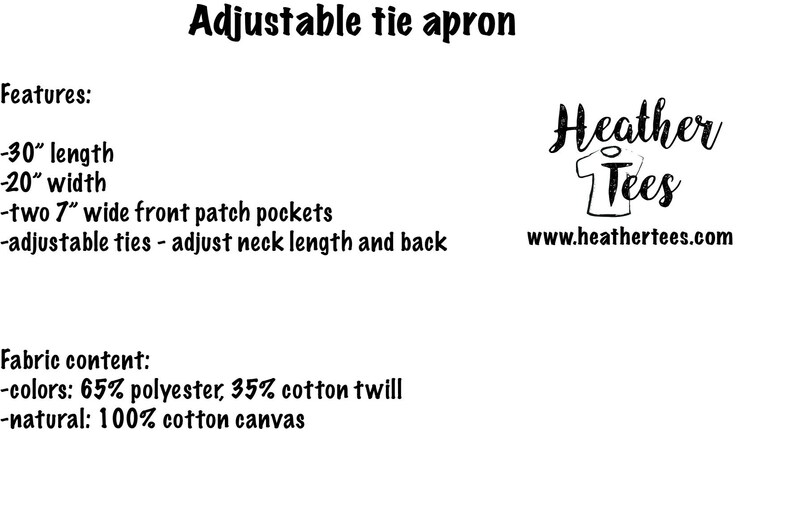 This apron makes a great Mother's Day or hostess gift! 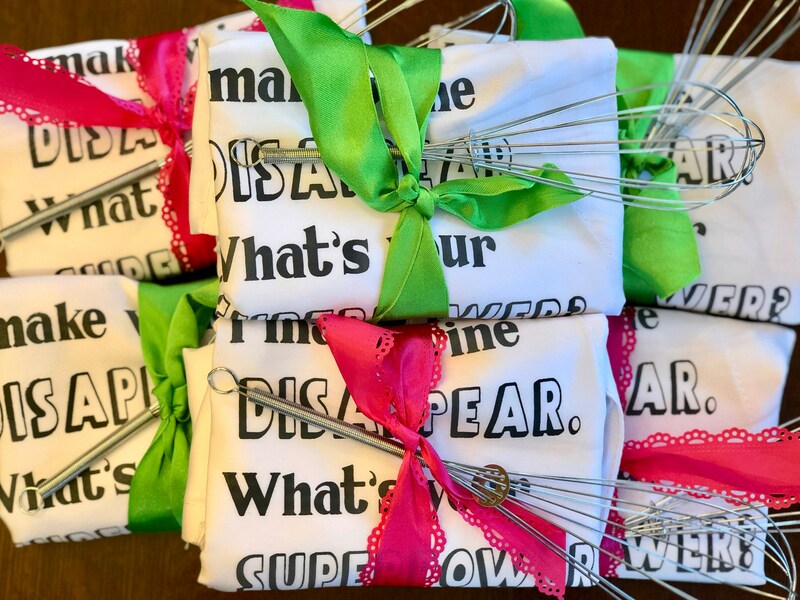 Soon to be your (and her) favorite apron. We manually screen print on this 100% cotton apron. And it comes packaged with a cute ribbon and a whisk!